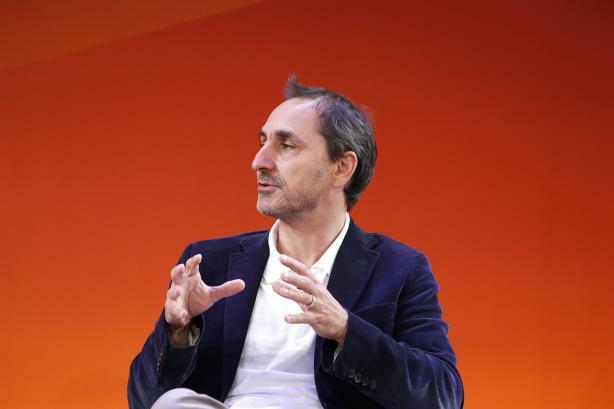 Brian Whipple and David Droga share plans after the consultancy juggernaut bagged the creative powerhouse. "This is not a revenue play or a land-grab; this is a relevance play and an add-value play," said David Droga, founder of Droga5. Both Droga and Accenture Interactive’s CEO, Brian Whipple, said that achieving next-level status for both companies would not be possible without this acquisition, which was settled for an undisclosed figure and erases Droga5-backers William Morris Endeavor from the picture. Campaign US spoke with the business partners about the future and what this news means for advertising’s landscape. Huge news. What just happened? We want to take the industry by the scruff of the neck and have an opinion on where it’s going, and I feel like this is a coming together of two jugganauts with good intentions at the peak of their prowess looking to see what we can do together. It’s complimentary. It’s exceptionally exciting. This is a business decision made from a series of good choices, not out of necessity or any sort of financial or strategic stress -- nothing of that nature. This is a decision that my team and David’s team have made together. Adding their creative expertise to our world of reinventing experiences for clients will be just awesome. What does this mean for Droga5? Since day one at Droga5, we’ve always talked about the flag we’ve tried to wave and stand behind: how can we be the most influential and creative agency in the world? We’re at the point where if we really want to take that up a notch and be that, we have to partner with the most powerful digital and experience company in the world. We pride ourselves on our storytelling. This changes it from a one-dimensional canvas to a three-dimensional canvas where we can interject that now at every touchpoint on a consumer’s journey. Instead of it being one part of the equation, we have relevance now at every part of the equation, and if we can take that brand and strategic thinking through, it’s only going to create phenomenal opportunities. It’s also what clients are demanding, and if they’re not getting it from their partners, then they’re being underserved. What does this allow Accenture Interactive to do that it hadn’t been able to do before? We’re laser-focused on creating very compelling experiences which include all aspects of consumer touchpoints whether they be retail, point of sale, website, mobile, AR, VR -- you name it -- and those experiences need a voice. We believe brands are built from an amalgamation of those experiences and that brand voice will shine through much greater through the addition of David’s team of creative thinkers and strategists. They are the best in this area, and we are the leader in the broader experience reinvention area and adding them will allow us to create and communicate to consumers about extremely compelling experiences and out ability to do that has just risen dramatically. William Morris Endeavor (WME) held a minority stake in Droga5. What does this mean for the company? WME was a successful partnership for both. It was very healthy. We’ve grown in different directions. They were a minority shareholder, and they’ve grown just like we have, so it’s exciting. We depart as great friends. Accenture Interactive has taken 100% stake. There are no more minority shareholders. Will Accenture Interactive keep the name "Droga5?" Definitely. We will always keep the names of brands that are best for the business, and in this particular case I cannot envision a world where that would not be the case. How about immediate logistics going forward. Will we see any changes to headcount, leadership or office location? We don’t see any near-term change on any of that than collaborating more and putting our teams of creatives and creative technologists together. The Droga5 leadership and offices down on Wall Street in New York City will remain the same. How does this acquisition reflect the changing needs of clients? This is in response to the evolving needs of executives. Not just chief marketing officers, but chief experience officers and chief executive officers of leading companies that, for large scalable projects, they will have one team that can excel for them in the creative and technology worlds. It’s going to be about bringing to life compelling, passionate experiences for their consumers. I don’t think at scale it was possible before, but it is now. It causes us all to reflect on what it means when we say, ‘this industry.’ Are we talking about marketing, technology, digital, advertising, the blending of all the above? This is going to enable us to have a brand voice in the world of experience creation for our clients. What would you both liked to have achieved through this new partnership one year from now? A seamless relationship. That’s the most important thing: shared culture, shared ambition. Shared culture, continued growth, but also some more key clients where we have created some landmark work at the intersection of purpose and innovation. When we look back two years from now, that will happen. I’m very bullish on that. Does Accenture Interactive have its eyes on any particular new market? Accenture Interactive has strength in most major business markets globally, Droga5 is extremely strong in North America and has strength in the U.K., as well. We can see all of the above expanding but there is plenty of opportunity in our current markets working together. If we expand beyond that footprint, it won’t be out of necessity, it will be out of client needs. We’re just scratching the surface in the bigger markets we’re in now. We’re chasing added value and relevance, and we’re in an enormous market here where there’s always more we can do. We’re excited to go beyond the headlines and get into the actual doing and the making. What I love about their culture -- and it’s true to ours -- is that we’re focused on what’s ahead of us, not the rearview mirror. It’s exciting what we can do together. This is not a revenue play or a land-grab -- this is a relevance play and an add-value play.